Being asked to be a bridesmaid or groomsmen is a huge honor! 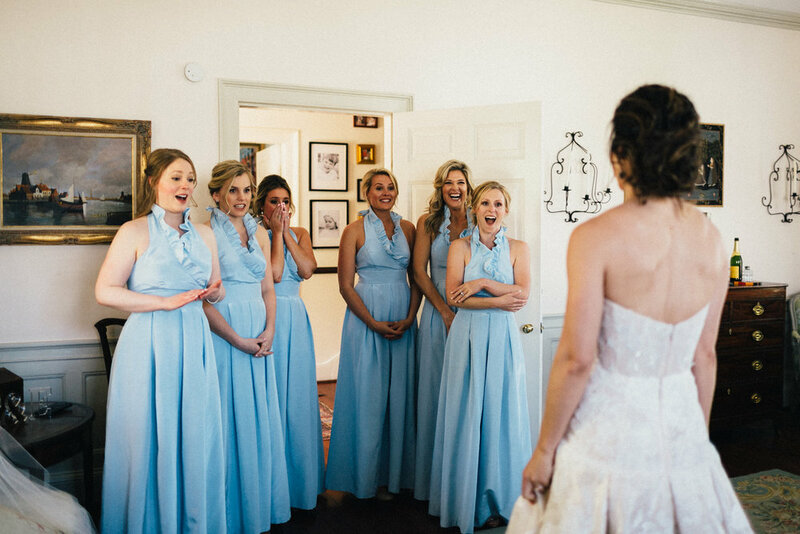 Today we are sharing the top 5 ways to be the best member of a bridal party, and how to play an important role on the biggest day of your friend's life. -Keep track of your items: Stay organized! A photographer will likely be with you for getting ready photos, so be sure to keep your items in one place and not scattered all over the room. A clean room will give a better backdrop for getting ready photos and give more space to move around. -Be on time: Timeliness on the wedding day is key. Be sure to read the timeline and know where you should be and when. Keeping everything on track and helping the bride stay on schedule is a great task for the maid of honor! -Be positive: There are unforeseen issues that may arise on the wedding day, but it is your job to keep the bride and groom calm! If you notice something is not right, try not to bring it up to the couple directly, but rather find the planner or a different way to fix the issue! For example, don't be negative if it is raining, but rather have an umbrella ready to go and be sure the bride is covered! -Tend to the bride and groom: So much time and planning has been poured into this one day, so be supportive and help as you see fit! Carrying the brides train, or making sure her lipstick is fresh, are all things that help the day run smoothly! -Lastly, don't over indulge: We all love mimosas, but be careful not to drink too much! Its a long day, so be sure to take it slow so you can last until the fun party! You don't want to miss the special moments or be too buzzed to concentrate on the details.